BB: Democrats Court Al Sharpton; Ignore Past of Racism, Antisemitism, Incitement……. – The Tundra Tabloids……. 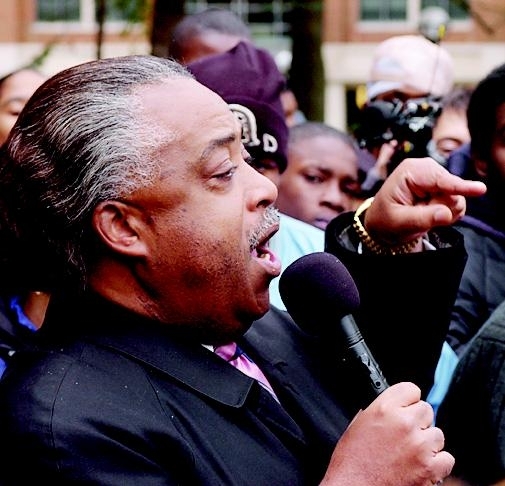 BB: Democrats Court Al Sharpton; Ignore Past of Racism, Antisemitism, Incitement……. Democratic presidential candidates are descending on New York City to court Al Sharpton at his National Action Network (NAN) convention this week, ignoring Sharpton’s long history of racism, antisemitism, and incitement. All of the major declared candidates for the 2020 Democratic nomination — and some potential candidates — are attending Sharpton’s conference, a remarkable fact at a time when many are also voicing concerns about extremism. Presidential candidates speaking at the National Action Network convention on Wednesday include former Texas Rep. Beto O’Rourke, businessman Andrew Yang and former Housing and Urban Development Secretary Julián Castro. Stacey Abrams, who narrowly lost the gubernatorial race in Georgia last year and is currently mulling a presidential bid, is also speaking Wednesday afternoon. On Thursday, Rep. John Delaney and South Bend Mayor Pete Buttigieg are speaking at the convention. Friday will see the greatest concentration of 2020 candidates speaking at the event: Gov. John Hickenlooper and Sens. Elizabeth Warren, Bernie Sanders, Amy Klobuchar, Kirsten Gillibrand, Kamala Harris and Cory Booker will be making remarks. Potential presidential contender Rep. Eric Swalwell will also be speaking on Friday. The candidates are using the event to pander to black voters, as O’Rourke did in endorsing reparations. Previous Post Previous Post Finnish Interior Ministry to publish two new studies on jihad movements in Finland……. Next Post Next Post Netherlands: Salafist hate preacher taught at Muslim highschool, parliamentarians worried about radical Muslim education…….